This object plays custom and EA animations. 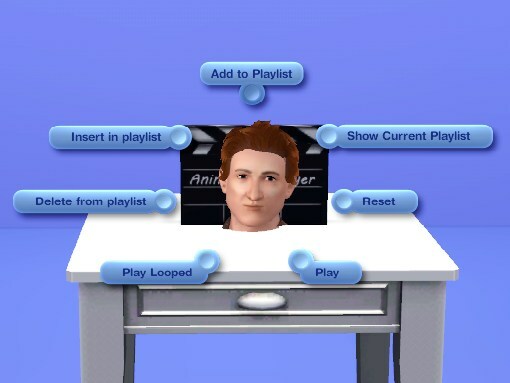 Animations can be entered by name into a editable playlist, and played in sequence, and the sequence can also be looped. Machinima artists and those wanting to make/test custom animations without having to make an object or write scripts to do it. Add to playlist - gives the option to add an animation to the current animation player's playlist(animation player have their own playlists). This object is found in Misc/Decorations. Just click the player and select 'Add to Playlist', type in the name of the animation you want to play, and press Enter. You then can add more animations, or just press Enter again to exit. Then click the player again and select 'Play' or 'Play Looped', and the animation(s) will play in the order they were entered. Pauses between animations can be added by adding 'Pause(<time to pause>)' or 'Wait(<time to wait>)' to the playlist. Does this work with NRaas Animator? Not only does it work with it, but I suggest using them together. 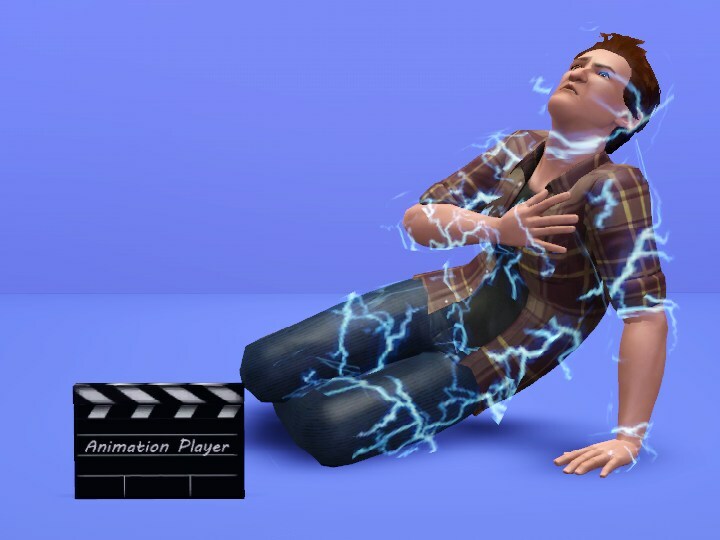 The Sims 3 CLIPs Lists compiled by MarkJS. Thanks to Orangemittens, Buzzler, Granthes, Wes Howe, Atavera, and Inge and Peter Jones. 4381 people have said thanks to cmomoney for this download.